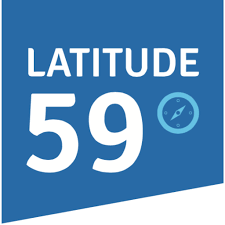 Latitude59 tech conference turns 9 in 2016 and has developed into a great platform for innovators and startup entrepreneurs to meet investors and potential partners. In 2016, we are expecting 1500+ participants including top notch startups from the Northern European region as well as investors from Silicon Valley, Europe, Russia and Asia! Join us in Tallinn, e-Estonia, the unique digital society where unique people create unique solutions! More information and tickets here. Focus will be on the overall theme of e-governance’s impact on a country’s transparency development and related economic growth. Discussions will take place in the main auditorium and will be in the form of keynote addresses, presentations and a panel discussion. High level political and business representatives will be able to express their ideas and experiences, and the audience will be able to actively participate via Q&A sessions. This event brings together entrepreneurs, students, job seekers, developers, scientists, astronauts, creative users over a weekend. The goal is to form teams and resolve within 24 hours one of the challenges proposed by the organizers and European Space Aganecy (ESA). The challenges consist in finding every day uses for space developed technologies or space acquired data. Registration is open until 18th May. Read more and register here. 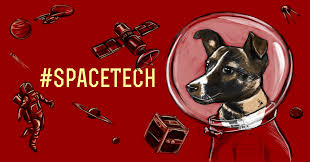 Why SpaceTech? Have your ever considered how many space technologies are embedded in our daily lives? NASA technologies, for example,... are benefitting life on Earth in the form of commercial products since 1976. NASA’s premier publication Spinoff has profiled nearly 2000 technologies that improve health and medicine, transportation, public safety, consumer goods, energy and environment, information technology and industrial productivity. The aim of the 48-hour-long prototyping hackathon is to build practical products that could be used by private sector companies, airlines or why not try to sell your innovation to NASA or SpaceX? Most importantly – we want the participants to have fun and explore innovations that the space agenies are buzzing about. Both software and hardware projects are welcome. The seminar will discuss the exciting research and innovation agenda of the new ITEE Center of Excellence and its impact on the economy. We will explain how our adopted innovation system model will help to increase the cooperation between companies and Universities and bring new innovative solutions to the market or improve the existing technologies. The event gives you a unique opportunity to get a detailed insight of Estonian ICT research scene and to learn about the future collaboration possibilities with one of the top universities in the world!